This represents another installment in the series detailing the first of our three cross country National Parks camping trips. At the time of our trip, our son was thirteen and our daughter was eight. Our first day out, we had overnighted at the home of our friends Peg and Bill in Ohio before continuing westward through Indiana, Illinois and on into Iowa. We crossed the mighty Mississippi as we left Illinois and entered Iowa, thinking nothing of the bridge beneath our wheels - until that evening when we arrived at the Buffalo Shores Campground, a lovely little campground in the small town of Buffalo, Iowa. As our kids waded into the Mississippi for the first time (a historic moment, as far as this Mom is concerned! 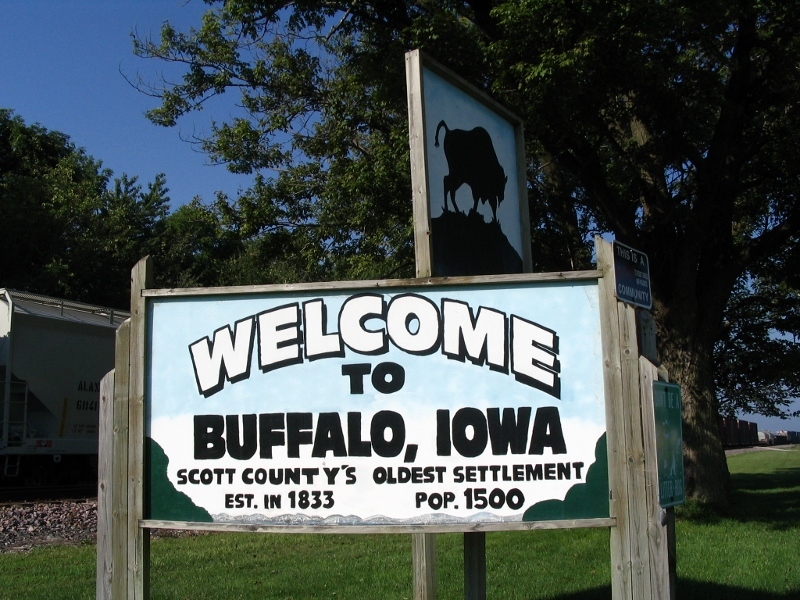 ), we started talking about the pioneers who had traveled from the East to settle in towns and on farms and ranches in the Midwest and beyond. What a struggle it must have been to move their loaded wagons full of furniture, personal possessions and families across the country, braving so many natural obstacles! Let me tell you, it certainly gave us an appreciation for our SUV, our travel trailer and the modern roads and interstate system of today. Education doesn’t always take place in schools. It did our kids good to think about the work and the courage it took for those early setters to make a life for themselves in lands unknown. 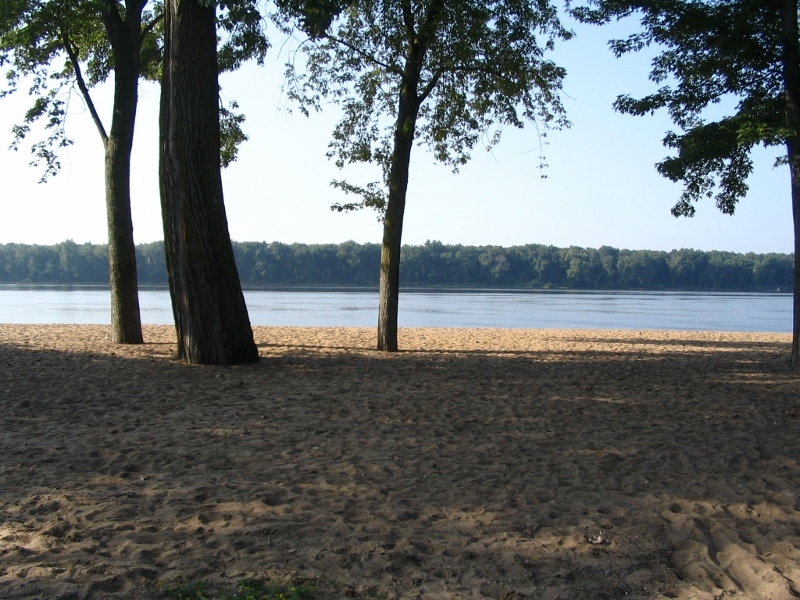 The campground was full of families sharing their own adventures but, still, it was pretty easy to erase modern life from our minds and think back to how the Mississippi must have appeared to the pioneers as they rolled over the rough road toward the River. Our children were exposed to American history by seeing, doing, touching and imagining as only they could with the waters of the Mississippi lapping at their ankles. This road trip was going to be even better that we had imagined! And I hope you’ll come back again to share our adventures! A special shout out today to our good friends Patty and Rick. We met about 20 years ago (YIKES!) when ours sons were in pre-school together. That was during the ten year camping hiatus our family endured when our kids were very young. When we got back into camping, our son was twelve. 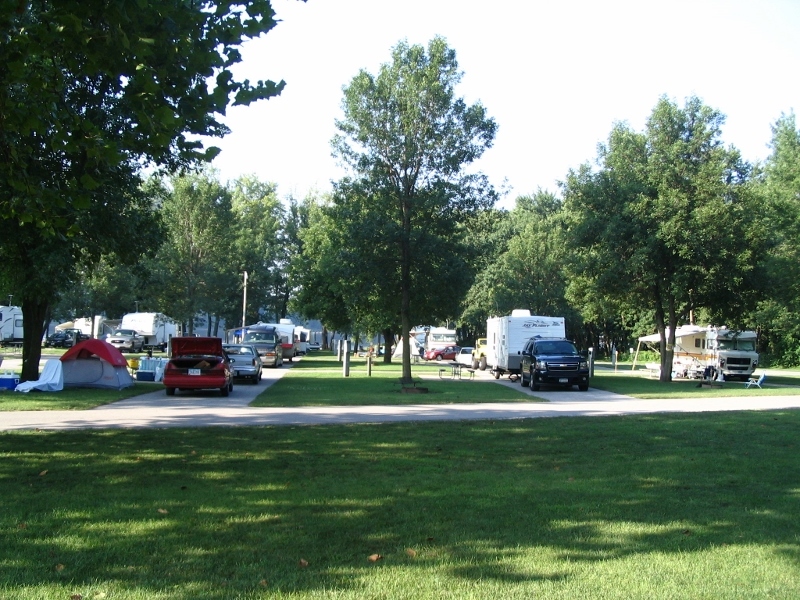 He had been too young to remember our tent camping days and our daughter, at age seven, was anxious to begin her “camping career.” Patty and Rick graciously entertained us as their guests while staying at a local campground when our Jayco travel trailer was on order. That visit allowed our kids to get a tempting taste of the fun-filled adventures that lay ahead. Riding bikes, playing games, making root beer floats – these wonderful friends of ours provided our kids the opportunity to make some very special memories. Some time ago, Patty and Rick entered a camping hiatus of their own when they sold their Class A motorhome. I am SO happy to report that, even as I type this post, they are on their way home with a new to them travel trailer. I truly believe that there is something about the camping lifestyle that works its way into your heart and soul – and then refuses to leave. Hey, you guys . . . Welcome back!